Lee Collins has spent his entire life in the shadow of the Rocky Mountains. Despite this (or perhaps because of it), he generally prefers to stay indoors reading and playing video games. 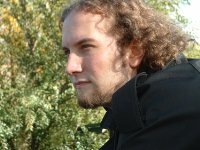 As a child, he never realized that he could create video games for a living, so he chose to study creative writing at Colorado State University. Upon graduation, he worked as an editorial intern for a local magazine before securing a desk job with his alma mater. Lee’s short fiction has appeared in Ensorcelled and Morpheus Tales, the latter of which awarded him second place in a flash fiction contest. In 2009, a friend challenged him to participate in National Novel Writing Month, and the resulting manuscript became his debut novel, The Dead of Winter, published in October 2012. The sequel, She Returns From War, arrives in 2013. In his spare minutes between writing and shepherding graduate students at his day job, Lee still indulges in his oldest passions: books and video games. He and his girlfriend live in Colorado with their imaginary corgi Fubsy Bumble. Learn more at Lee Collins’ blog. 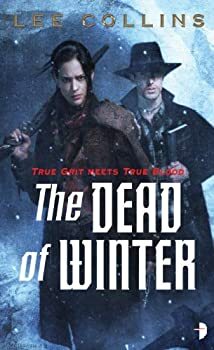 In this urban fantasy with a twist — set in the Wild West in wintery Colorado — monster hunters Cora and Ben are hired to deal with an unknown beast that slaughtered some wolf hunters in the mountains. As they investigate, they realize that they are looking for a beast neither of them is familiar with. And that’s just the tip of the iceberg when it comes to the evil beasties lurking in them thar hills.